Molecular genetic data contain information on the history of populations. 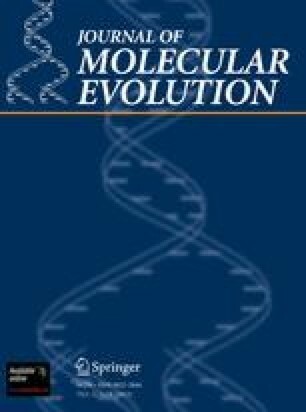 Evidence of prehistoric demographic expansions has been detected in the mitochondrial diversity of most human populations and in a Y-chromosome STR analysis, but not in a previous study of 11 Y-chromosome SNPs in Europeans. In this paper, we show that mismatch distributions and tests of mutation/drift equilibrium based on up to 166 Y-chromosome SNPs, in 46 samples from all continents, also fail to support an increase of the male effective population size. Computer simulations show that the low nuclear versus mitochondrial mutation rates cannot explain these results. However, ascertainment bias, i.e., when only highly variable SNP sites are typed, may be concealing any Y SNPs evidence for a recent, but not an ancient, increase in male effective population sizes. The results of our SNP analyses can be reconciled with the expansion of male effective population sizes inferred from STR loci, and with mitochondrial evidence, by admitting that humans were essentially polygynous during much of their history. As a consequence, until recently only a few men may have contributed a large fraction of the Y-chromosome pool at every generation. The number of breeding males may have increased, and the variance of their reproductive success may have decreased, through a recent shift from polygyny to monogamy, which is supported by ethnological data and possibly accompanied the shift from mobile to sedentary communities. This paper was supported by grants from the European Science Foundation (Eurocores Programme: The Origin of Man, Language, and Languages) through the Italian CNR, the University of Ferrara, and Programa Operacional Ciência, Tecnologia e Inovação (POCTI), Quadro Comunitário de Apoio III. I.D. was supported by a grant from the Swiss National Science Foundation (FNRS) for advanced researchers; L.P., by a research grant (PRAXIS XXI BD/13632/97) from Fundação para a Ciência e a Tecnologia. We thank Laurent Excoffier for critical discussion and for providing us with a copy of the SIMCOAL program to perform the coalescent simulations and Steven LeBlanc for many suggestions and for his guidance through the maze of the ethnographic literature.